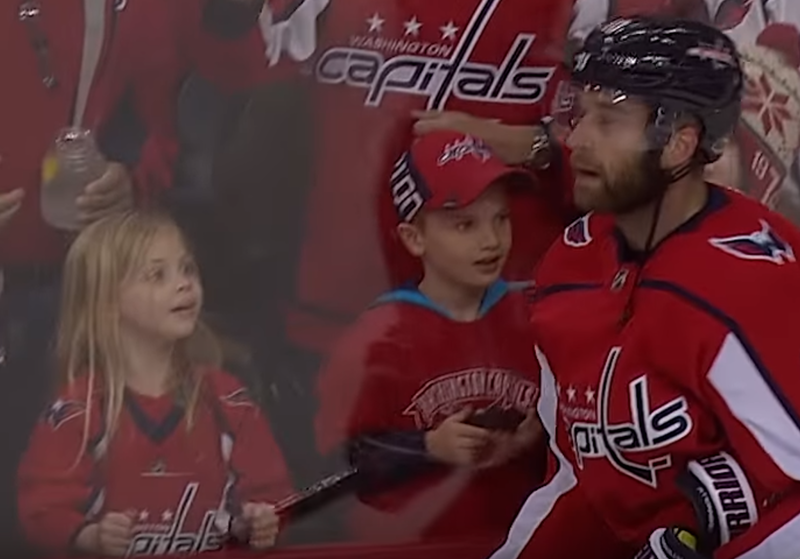 There was a popular video a couple weeks ago featuring a little girl attending a Washington Capitals game. In the clip, the girl is trying to get Brett Connolly's attention so that he'll toss her a hockey puck. Connolly tosses over a couple hockey pucks, but both times the hockey puck is given to another child. 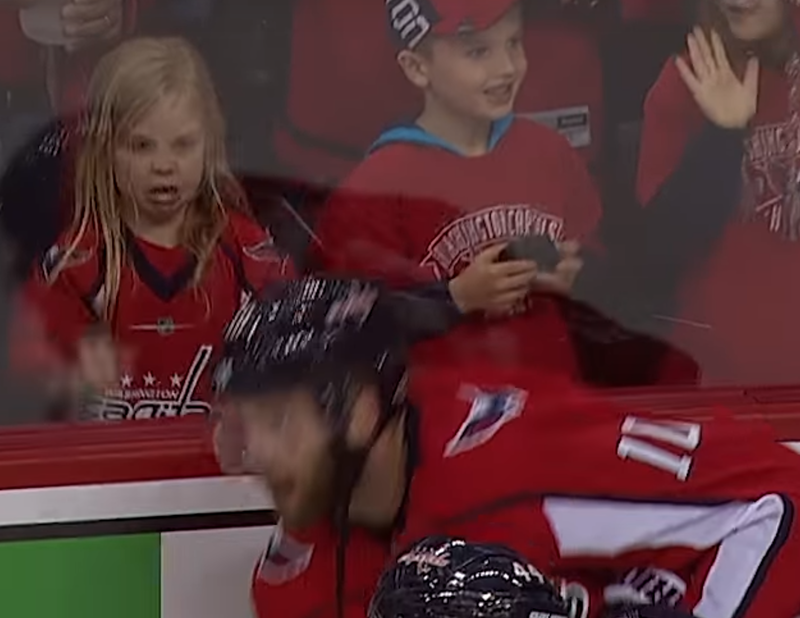 Finally, Connolly tosses over a third hockey puck which gets handed to the girl. Oh, phew, she's back to normal!